In LEED v4, these credits have been revised, and new credits relevant to lighting design have been established. Let’s see what’s new, shall we? This credit is frankly a mess in LEED 2009, and it seems much improved and clarified in v4. In LEED 2009, you had to demonstrate that all interior fixtures with line-of-sight to exterior windows had an automatic shutoff to reduce their levels by 50% after curfew, to prevent light pollution. Which was a lot of documentation for a fairly minimal environmental impact. 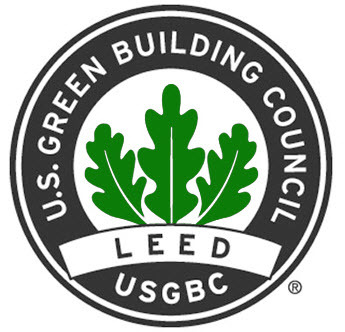 In v4, all LEED Projects will be required to demonstrate a minimum level of energy performance over ASHRAE 90.1-2010, which accomplishes essentially the same thing without creating a documentation requirement specific to the credit. The light trespass requirement is also streamlined. In LEED 2009, the light trespass criteria included both a horizontal and vertical footcandle maximum, which varied by Lighting Zone, without a lot of specificity in how the criteria should be documented. In addition, the horizontal footcandle requirement was <.01 fc, which meant that if you had a high-density design with lighting anywhere near the LEED boundary, this credit was nearly impossible to attain– even if your exterior lighting very sensible and dark-sky friendly. 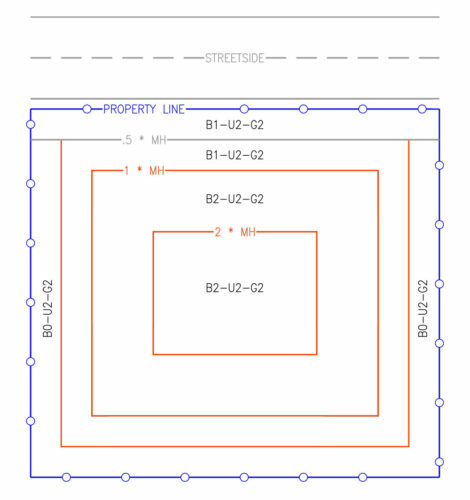 In LEED v4, there is only a vertical footcandle requirement, with clear guidance on how the calcgrids should be built, OR you can comply by using fixtures with an appropriate BUG rating. A similar alternate compliance method to the uplight requirement is provided– you can specify fixtures with an appropriate BUG rating for the Lighting Zone and distance to the LEED boundary, and forgo summing uplight/downlight lumens for every fixture on the site. What these two changes mean together is that you can identify a maximum BUG rating for your project, specify fixtures with that BUG rating or less, and you’re done. Also, and I can’t emphasize how welcome this change is– facade and landscape lighting are exempt from trespass and uplight requirements, as long as you turn them off between midnight and 6am. Facade and landscape lighting has a role to play in creating facilities that serve the needs of occupants, and if you’re designing to meet the exterior lighting load requirements of ASHRAE 90.1-2010 and furthermore turning the lighting off after hours the environmental impact of these load types are minimal. Link to the full credit language is here. The credit language is now based on ASHRAE 90.1-2010, which seems to be the biggest change. As before, there’s a whole-building energy modeling compliance path, or a prescriptive path. The design guides used as the basis of the prescriptive path has been similarly updated. I haven’t yet dug into exactly what’s different with ASHRAE 90.1-2007 to 2010, if you have insights be sure to leave a comment. This is a new credit that would require placing a submeter on loads that exceed 10% of the total energy usage, which would certainly be the lighting panel, and possibly individual loads within that panel. Submeters are available at around $300/zone, so it’s a very easy and inexpensive way to pick up a credit. 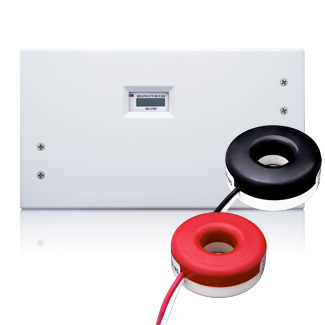 Some lighting control systems have load metering capability built-in, so you could get it for nearly free. I think the intent here is to make it a credit that nearly every LEED project pursues, thereby creating a market for this sort of product, and an expectation on the part of owners that they’ll be able to monitor the energy performance of their buildings on a granular and ongoing basis. 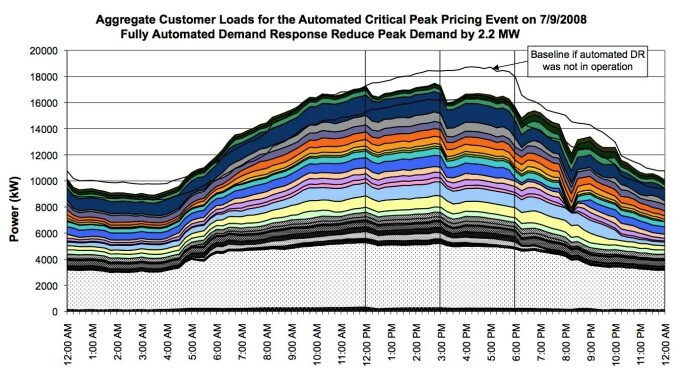 Demand Response (DR) works like this: utilities are continually scaling up and down the amount of power generation in the system, and during periods of peak use or rapid changes in system energy usage, they have to run their dirtiest plants. DR is a way of managing those peak and transient loads, whereby the utility sends an electronic request to the energy consumers, who automatically turn off some loads. For example, a facility might increase the HVAC setpoint by a few degrees, or wait to run the compressor on their refrigeration equipment, or sweep lighting in spaces that are unoccupied to off. In return, the utility offers the consumer rebates or reduced rates. If your project is in California this credit is a freebie, since Title 24 will require DR capability in all new projects beginning in 2014. As utilities move towards demand-pricing of energy, this capability can potentially be a real money saver. Some lighting controls systems have the ability to do Demand Response built-in. Again, it seems like the intent here is to create a market, since this credit would be fairly easy and inexpensive to attain. This credit incorporates the former Controllability of Systems – Lighting credit (IEQ 6.1), with the further requirement spaces have bi-level switching. In California, the next version of Title 24 requires continuous dimming in most spaces, so this is a freebie for projects located in the golden state. Choose four of the following strategies. For all regularly occupied spaces, use light fixtures with a luminance of less than 2,500cd/m2 between 45 and 90 degrees from nadir. Exceptions include wallwash fixtures properly aimed at walls, as specified by manufacturer’s data, indirect uplighting fixtures, provided there is no view down into these uplights from a regularly occupied space above, and any other specific applications (i.e. adjustable fixtures). For the entire project, use light sources with a CRI of 80 or higher. Exceptions include lamps or fixtures specifically designed to provide colored lighting for effect, site lighting, or other special use. For 75% of the total connected lighting load, use light sources that have a rated life (or L70 for LED sources) of at least 24,000 hours (at 3-hour per start, if applicable). Use direct-only overhead lighting for 25% or less of the total connected lighting load for all regularly occupied spaces. For 90% of the regularly occupied floor area, meet the following thresholds for area-weighted average surface reflectance: 85% for ceilings, 60% for walls, and 25% for floors. If furniture is included in the scope of work, select furniture finishes to meet the following thresholds for area-weighted average surface reflectance: 45% for work surfaces, and 50% for movable partitions. For 75% of the regularly occupied floor area, meet an average ratio of wall surface illuminance (excluding fenestration) to average work plane (or surface, if defined) illuminance that does not exceed 1:10. Must also meet strategy (5), strategy (6), or demonstrate area-weighted surface reflectance of 60% for walls. For 75% of the regularly occupied floor area, meet an average ratio of ceiling illuminance (excluding fenestration) to work surface illuminance that does not exceed 1:10. 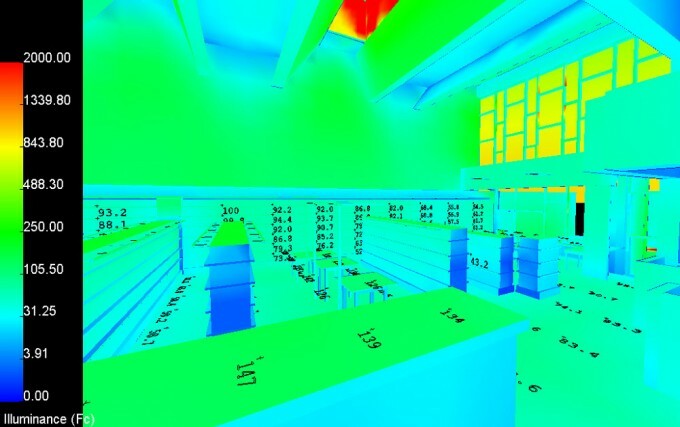 Must also meet option (5), option (6), or demonstrate area-weighted surface reflectance of 85% for ceilings. Well. I’m sure some in our industry will bristle at being told what constitutes quality in lighting, but most of these are best practices, criteria that we would design to meet in any case. Some of them are pretty subjective (some of our clients very much prefer darker finishes and direct lighting), but that’s why you can pick any four, I suppose. I generally take the view that any attempt to promote quality in lighting design is welcome, as long as there’s some flexibility in implementation. Here’s another one where the language of the credit has received a much-needed overhaul— the process of documenting the credit is now much clearer. But the biggest change is that the Prescriptive option based on ratio of window space to floor space has been eliminated in favor of a new performance metric based Solar Daylight Autonomy (SDA). The new criteria is SDA(300/50%), which means that calculation points in regularly occupied areas have 300 lux or more 50% of the time. In addition, you must demonstrate that no more than 10% of calculation points have an Annual Solar Exposure of ASE(1000,250), meaning that no more than 10% of spaces have more than 1000 lux more than 250 hours per year. The available points from this credit have been increased, 55% SDA(300/50%) will get you two points, 75% will get you three points, reflecting the rather large potential impact on the floorplate and glazing system that would be necessary to obtain this credit. Alternatively, you can use the same metric found in LEED 2009, demonstrating that at 9am and 3pm on the equinox, most of your floor area will be between 300 lux and 3000 lux. Interesting, that compliance method only nets you a maximum of two points. As in prior versions, there’s also a compliance path via direct measurement of the built environment, but I wouldn’t expect projects to pursue this strategy except as a Hail Mary. If you need a quick refresher on daylighting metrics like SDA and ASE, my blog post on the subject of daylighting metrics is here. Final thoughts: In general, I have to say that I’m well pleased with the changes. Where in the past high-performing projects could nevertheless fail to comply with the specifics of a credit, multiple paths to compliance have been provided, and they’re based on industry standards, rather than some standard particular to LEED. The credits have been rewritten with a lot of care taken to make the language clear and specific. If I’m understanding it right, the overall point totals that make a project LEED Certified, Silver, Gold, or Platinum are not changing, so perhaps the biggest change is that project teams will have a wider choice in certification strategies. Hope this post came in useful, chime in in the comments if you have anything to add!